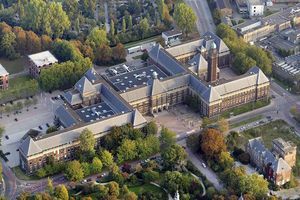 As one of the largest architecture faculties in Europe and a leader in the field of design, TU Delft's Faculty of Architecture and the Built Environment plays a key role in design-oriented research with a strong focus on current social and technological issues. The Faculty of Architecture and the Built Environment can be called upon to explore specific questions and carry out research assignments for the private as well as the public sector. The faculty participates in partnerships at national and international level. The Faculty of Architecture and the Built Environment is a keen participant in European research projects.